The outer shell of Swany's Men's Arctic Touch Screen Mittens generate heat through absorption of visible and infrared rays from the sun. These mittens also reflect the wearers infrared rays back to their hands. 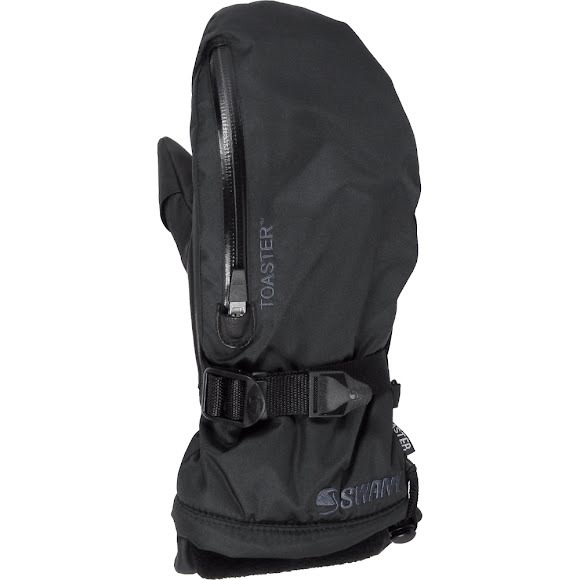 Toaster side access features the warmth of mittens combined with the flexibility of gloves. The outer shell of Swany&apos;s Men&apos;s Arctic Touch Screen Mittens generate heat through absorption of visible and infrared rays from the sun. These mittens also reflect the wearers infrared rays back to their hands. Toaster side access features the warmth of mittens combined with the flexibility of gloves. Top grain leathers, specifically tanned for durability, water repellency and suppleness. A patented microfibre structure insulation created to replace down. Incredibly lightweight, soft and water repellent. A woven, synthetic lining material with soft, hydrophilic moisture management properties.